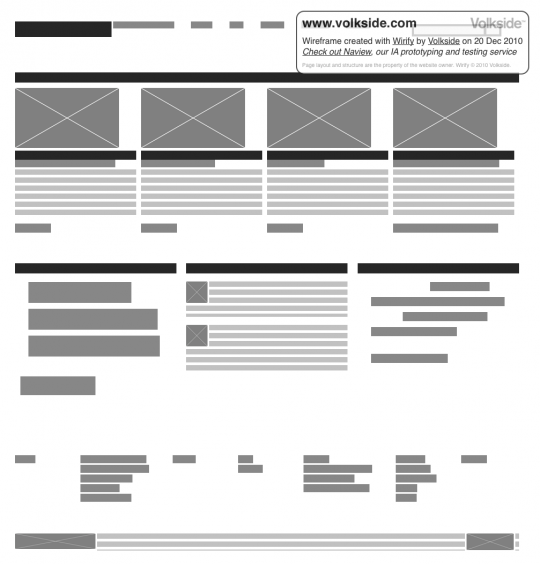 Wirify is a bookmarklet that lets you turn any web page into a wireframe in one click. It’s free, easy and fun to use so go to Wirify.com and get Wirify now. 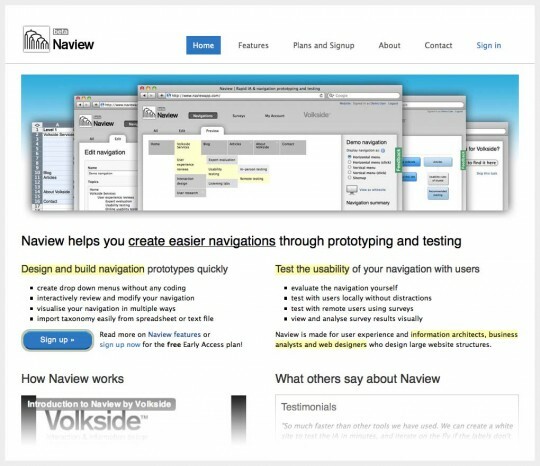 Naview helps you to design and build navigation prototypes quickly and test the usability of your navigation with users. It is made specifically for user experience and information architects, business analysts and web designers who design large website structures. You can access Naview here or read our announcement on the beta version.